Back in 2008 Microsoft published An A-Z Guide to Being an Architect in their Architecture Journals. Here is my take on an updated A to Z Guide to being an Architect. A couple of these may be similar. Following Blueprints and Patterns either published by vendors (such as the Microsoft Blueprints) or developed internally around your products and services will ensure repeat-ability and cost control around the design process. This is an up and coming era with lots of new innovation and developments. Keeping up with developments is key going forward for any architect to understand designs/solutions, art of the possible now and future, innovation and for developing roadmaps for solutions. To quote Wikipedia – “DevOps (a clipped compound of “development” and “operations”) is a culture, movement or practice that emphasizes the collaboration and communication of both software developers and other information-technology (IT) professionals while automating the process of software delivery and infrastructure changes”. Having knowledge of DevOps, OpsDev and Agile assist with Architecting a solution for a business understanding their practices and modes of interacting with technology to meet business requirements. A Good book on the subject of DevOps is “The Phoenix Project” by Gene Kim. 42010 is the ISO Standard that most frameworks adhere to. Working to a Framework brings structure to your designs and life cycles. It is important to be current and understand the technologies you are architecting. There are lots of options available to get your hands dirty using technology from using Cloud Servers to virtual machines on your compute device. There are other computing devices such as the Raspberry PI that provide a cheap alternative to standing up small farms to learn on. IoT (Internet of Things) is where physical things are connected by the internet using embedded sensors, software, networks and electronics. This allows the items to be managed, controlled and reported on. My blog posts on IoT Device Security Considerations and Security Layers goes into more detail on this subject. Juxtaposition is something an architect should be doing to compare things/items/artefacts etc. 1. an act or instance of placing close together or side by side, especially for comparison or contrast. 2.the state of being close together or side by side. I would class Skills with Knowledge. It is important as an Architect to ensure that your skills/knowledge are up to date and where you are unsure of a technology, you have a plan to address and skill up. Build a good CPD (Continuing Professional Development) plan and work towards completing it. With the move to cloud it is important to ensure your scripting skills are up to date as most cloud platforms use scripting to assist with the deployment of environments. This is also true of other DevOps/OpsDev applications. If you are unsure on what to learn this guide may help you – Learn a Programming Language – But which one? Micro Segmentation allows a business to use Networks, Compute and Storage to automate and deliver complex solutions by carving up and using the infrastructure. This segments part of the infrastructures to specific functions/tasks. It can also be used in a security context to segment networks, firewalls, compute and storage to increase security and reduce cyber attacks. VMware have produced a book “Micro Segmentation for Dummies” that can be downloaded from here. Next Generation refers to the next stage or development to something such as a new release of hardware or software. Next Generation is becoming a common term now to define products and artefacts, an example being Next Generation Firewalls. Performance can cover people as well as solutions / systems. Performance metrics should be set out at the inception of an engagement then monitored and reported on. This will be a factor in driving Continuous Improvement going forward as well as forecasting / planning for future upgrades and expansion. There is also a level of pride and satisfaction in producing a quality solution and system achieving the objectives and requirements set out by the business. SMAC stands for Social, Mobile, Analytics, Cloud. SMAC is an acronym that covers the areas and concepts when these four technologies are brought together to drive innovation in business. A good description of SMAC written by a colleague can be found here Acronyms SMAC. The majority, if not all systems will undergo a form of transformation. This may be in the form of a simple upgrade or to a complex redesign and migration to something else. UX (User eXperience) affects how people interact with your architecture / design and how they feel about it (emotions and attitudes). With the boom in apps and the nearing Contextual Web Era, UX is one of the most important factors to getting an architecture used. If your users don’t like the system they may find something else to use that they like. Understanding the vision of your customer and their business is the driving factor for any architecture. On working with your customer you should look to become a Trusted Advisor and also with your colleagues. A great book on the subject is The Trusted Advisor by David Maister. The book covers 3 main areas which discusses perspectives on trust, the structure of trust building and putting trust to work. X86 – is a standard that every knows as its one of the most common platform types available. Year is for the longevity of the solution you are designing. How many years are your expecting it to last What are the Business Requirements, statutory obligations, depreciation etc that need to be planned in. Consider things like End of Life, Maintenance and Upgrades on hardware and software from a solution point of view. It would seem that the hackers are trying to get the jump on the industry well before the devices are falling into the hands of the consumer. This is not the first time such incidents have been reported. The race for Internet of Things sensors, devices and “Things” is growing fast, however with these incidents of Malware being found, how long will it be before code is appearing on chips on sensors that shouldn’t be there. There are lots of Operating Systems available for the IOT. These can be classed as the mainstream ones that appear in the news and everyone knows such as Microsoft, Raspberry Pi, Linux etc, to the less know ones that are used on chipsets such as Contiki, TinyOS, Nano-RK. (See https://maxhemingway.com/2015/04/14/iot-operating-systems/). These threats will drive the Internet of Security to protect the Internet of Things. Cisco is looking to tackle some of these by running a Security Grand Challenge to offer prizes to the best security solutions. More competitions and challenges will probably emerge as the industries try to understand and protect against the risks and use a crowd source model to help protect the IoT. I came across this “Visual Introduction to Machine Learning” in a forum. This is an experimental site showing statistical thinking with an interactive web page. The page builds as you scroll down and takes you through a journey of Machine Learning. 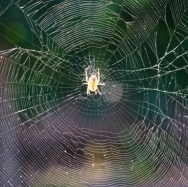 Web Crawlers are useful in gathering data from other sites when performing research, although caution should be used as with today’s levels of protection some sites defenses may consider your data gathering as an attack. Its probably best to check first if any data sets exist with the data you are looking for. https://www.quandl.com/ is a search engine for data sets that has listed 12 million data sets. There are lots of data sets available from governments such as http://data.gov.uk/ in the UK. 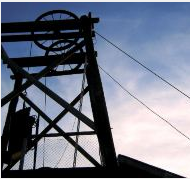 Via Coursera the University of Illinois at Urbana-Champaign is running a specialisation on Data Mining. As with all Coursera courses, you don’t have to take the specialisation, but can take the courses individually or one after each other. Taking the courses outside of the specialisation means that you wont get to complete the capstone project and earn your certificate at the end. There should be another V for “Verification” which covers the questions you ask of the data in order to obtain the results. A check should also be made on the data to look at the inference of the results as different views or questions asked in a slightly different way could produce completely different outcomes in the data. Perhaps with the right Verification there may not be so much uncertainty (Veracity) and a huge saving to businesses reducing a high loss in money, time and incorrect data. 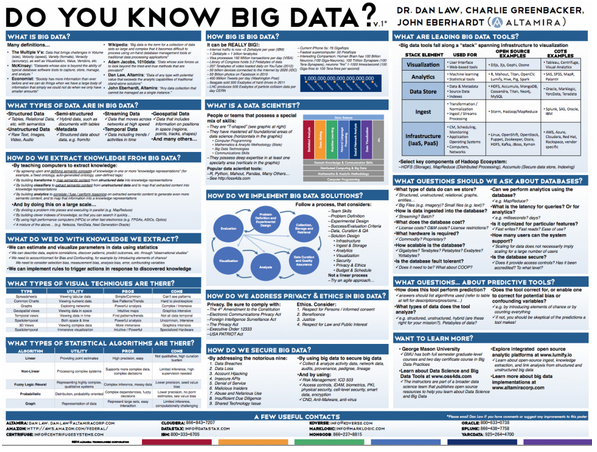 Whilst looking into some suitable questions to ask about Big Data, I can across an excellent poster titled “Do you know Big Data?” produced by Altamira. The poster covers a set of questions that help you question Big Data and a Big Data project. 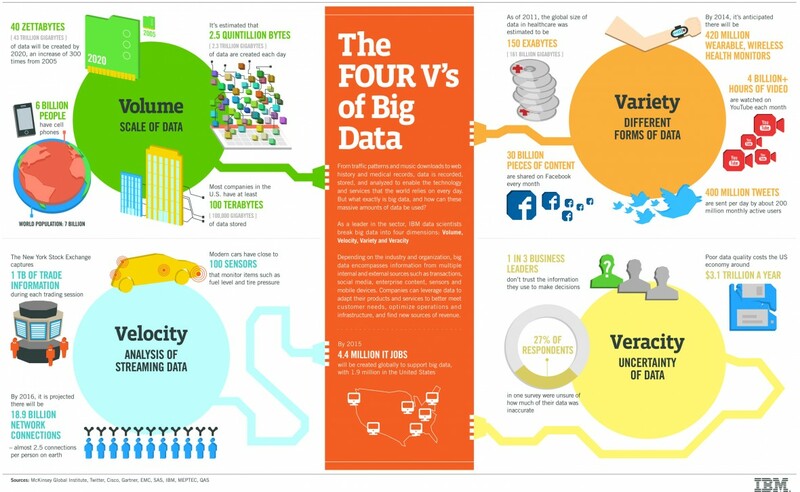 What types of Big Data are there? How do we extract knowledge from Big Data? What do we do with knowledge we extract? What types of Visual Techniques are there? What types of Statistical Algorithms are there? How do we implement Big Data solutions? How do we address privacy and ethics in Big Data? How do we secure Big Data? What are leading Big Data tools? What questions should we ask about Databases? What questions about Predictive Tools? A useful tool as a starting place to research further elements of Big Data. Ope n Source is a term that is now common place meaning access to the inner workings of a thing to allow a wider community of people to help develop and take it forward. A good example of this is in software. The Internet is full of Open Source Software projects that people are developing and collaborating on, sharing data. A project by the Personal Genome Project is now looking to take the idea of Open Source to the next level with Open Humans. The project is looking for volunteers to Open Source themselves and publicly share data about their health to further science and medical fields. The project does state though that you can choose what data you share. Open Data is a term relating to data that can be shared openly and freely. An example of this are the data sets freely available by governments such as Data.gov and Data.gov.uk. By 2020 it is predicted that with a world population of 7.6 billion, there will be 50 billion connected devices. That’s 6.58 connected devices per person. Some people have that now with phones, tablets, wrist devices, glasses etc. Each device capable of producing a lot of data on usage, actions, etc. How much of this data will be private vs open is yet to be determined and the ability to opt in and out need to be clearer for people to understand. A report in todays BBC News claims that yet more personal data is being sold illegally. This time pensions data (Pension data ‘sales’ investigated by watchdog) . However as we take more steps towards the IoT (Internet of Things) are we able to keep track of our data and how it is used or are we heading towards an Open Sesame bonanza of data treasure being opened, taken and sold on. Open Sesame is a magical phrase used by Ali Baba to access a secret cave of treasure. In this case the treasure is data!